I am in the second week of an adult education program here at the church on prayer. We are using the book, Beginning to Pray by Archbishop Anthony Bloom. This is a great little book and I highly recommend it if you are looking for something on prayer. It is written for the beginner and not to heavy on the theology. During the class the topic of humility came up in reference to prayer. I have always thought of humility as being the pile that everyone heaps stuff on and you just take it. You’re the guy who sits there and never says anything and walks around with their head down never looking anyone in the eye. Well I guess that is one aspect of humility but not one that I find helpful. Just because I like facts, the word humility appears seven times in Scripture. Mostly in the Hebrew Scriptures but is does make an appearance or two in the Christian Scriptures as well. Humility is not a virtue that is taught these days, at least using the definition that I used above. In the first chapter of beginning to pray, Archbishop Anthony gives us another view of humility and one that I find a bit more palatable. Humility comes from the Latin word Humus ~ fertile ground. He goes on to say that this is the condition of the earth. “The earth is humble, always there, always taken for granted, never remembered, always trodden on by everyone, it’s there silent and accepting everything.” He says that this is how we should be before God. If we are abandoned, surrendered, ready to receive anything then we are ready to stand before God and accept whatever His will is. After all that is what we are going for here, God’s will not ours. In the Garden of Gethsemane, before the crucifixion, Jesus was just this before God. Yes He knew what was coming and He knew the price He was about to pay. But in His most human moment He was naked and empty before God and finally He was ready for God’s will. He knew what He had to do, but he needed to be empty and ready. That’s what it means to be humble before God. That is the position that we all must seek and strive for to be naked and empty, fertile soil ready to receive what ever God wants to plant in us. If we are guarded and only a little ready to do His will maybe saying things like, “okay whatever you want but with these conditions.” No, that won’t work. We must be ready and will for anything that God will throw at us. In the end this will only happen if we have faith and fear of God. We need to shed all of our selves before Him and be genuine as we stand in the presence. We need to acknowledge that God is God and Master of All including us. Once we are that open with God then we will truly be humble and we will truly be able to obtain that perfect love. Love of God and love of neighbor. Prayer – The heart of our monastic life is regular and frequent conversation with God. This takes two main forms: a) public, liturgical prayer in the celebration of the Divine Liturgy and the Liturgy of the Hours, and b) private resting in God in Christian contemplation. Lectio Divina and Study – In conformity with ancient monastic practice, we practice the prayerful and meditative reading of Sacred Scripture. 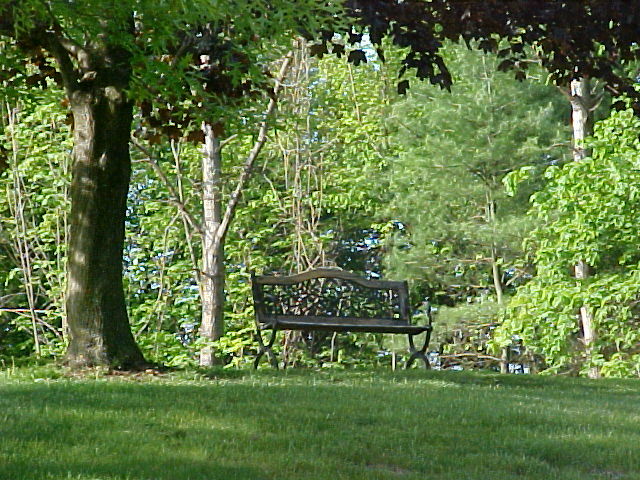 In addition, we also nourish our hearts and minds by ongoing study in sacred and secular areas of learning. Silence – The attentive listening to God in our hearts and in the daily events of our life requires an internal attitude of silence and an external environment of stillness. 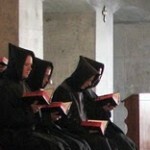 In the monastery there are periods of the day in which we observe that silence which facilitates reflection and prayer. Chaste and Sincere Love of Each Other – As a cenobitic monastic community, that is, as monks who live in community, we aspire to grow in mutual love as brothers. This love is embodied in mutual support, attentiveness, respect, and care for each other as fellow travelers in the spiritual path. Service – Our life of prayer naturally flows into a desire to serve all those who may visit our monastery for any reason, and we serve them as Christ’s presence in our midst. In particular, our community has chosen the special mission of monastic hospitality and the ministry of spiritual direction. In addition, we have outreach programs to the materially poor. Simplicity of Life – In a world of over consumption and multiplication of false needs, we try to live, communally and personally, lives that are marked by material simplicity as a sign of dependence on God’s love and care. He and a party of about forty monks landed in England in 597; they were received warmly by King Aethelbert, who was baptised by Augustine and thus became the first Christian king of the Anglo-Saxon people. 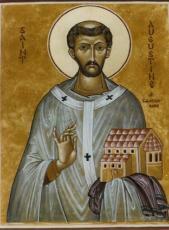 In 601 Pope Gregory made Augustine Archbishop of Britain, and he established his cathedral at Canterbury, where he also established a monastery. Saint Augustine worked unsuccessfully to unite his churches with those of the Irish monks and hierarchs, who followed different liturgical practices, kept a different date of Pascha, and disapproved of the less severe Roman monastic practices introduced by the Archbishop. He reposed in peace. When a man or a woman answers the call to live the monastic life that is the first step is a life long process of living out that call. Part of the journey is the taking of vows. The monk makes four vows those of poverty, chastity, obedience, and stability. Theses are commonly known as the Evangelical Councils. In this series of articles I will look at each of the vows and the meaning behind each of them. The vows that a monks takes either eastern or western are not as old as monasticism itself. In the early years, a person would find an elder and then dress in monastic garb. This garb would have been different depending not only on the elder but also the geographic location. Vows came along about the 6th century and have been used since then both in the Eastern Church and the Western Church. These vows are public and in them they confirm the profession of the vows I have outlined above. 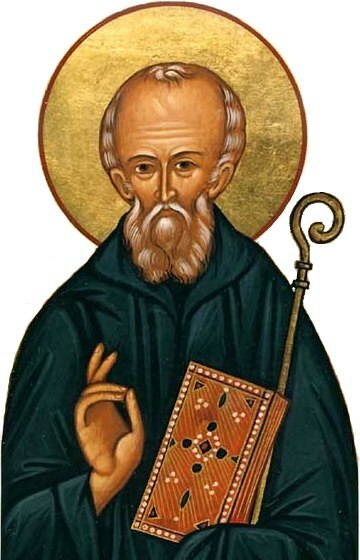 In the Western Church, Benedictines are the only ones who make the fourth vows of stability but in the Eastern Church all Monastics take this vow. Just a word on Religious Orders. 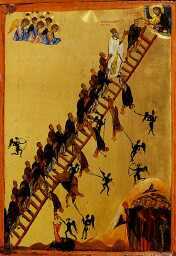 Orders grew from the elder monk relationship into much larger world wide organizations of Monastics. One thinks of Benedictines, Dominicans, Franciscans, Jesuits, etc. In the Eastern Church Orders do not exist per se rather monasteries exist under an Igumen and follow a rule or Typicon that is common to that particular monastery. Most typicons would be basically the same with some regional variation. Poverty is one of the lest understood vows that a monastic takes. Poverty in a monastic sense is that of individual poverty. Everything is owned in common by the community and no one has more than one needs. The monastic community will own the land and buildings and such as well as all of the other possessions of the monastery. This will differ from monastery to monastery. Cistercians of the Strict Observance, commonly known as Trappist do not even own the clothes on their backs, all is owned in common. This is a very difficult concept in out 21st Century materialist world that we would literally sell all we have and give to one another but that is exactly what the monastic vows. The monastic has to figure out for themselves the difference between a need and a want. The Monastics will also practice recycling to find other uses for items that are no longer in use. Sometimes a broken item and be put to use as something else thus saving the need to acquire another item. The community should not acquire things that are not necessary as well. Sometimes one goes to a monastery and the monks are living like kings. This is not a good idea. Live a simple life is the watch word in the monastery. The main thing to remember about monastic life is that for the most part it is lived out in community and not solitary. The community is one that decides what is good for the community not the individual. However, account is taken that some may be weak and will require more than others. Novice lit. “one under obedience”—Those wishing to join a monastery begin their lives as novices. After coming to the monastery and living as a guest for not less than three days, the abbot or abbess may bless the candidate to become a novice. There is no formal ceremony for the clothing of a novice, he or she simply receives permission to wear the clothing of a novice. 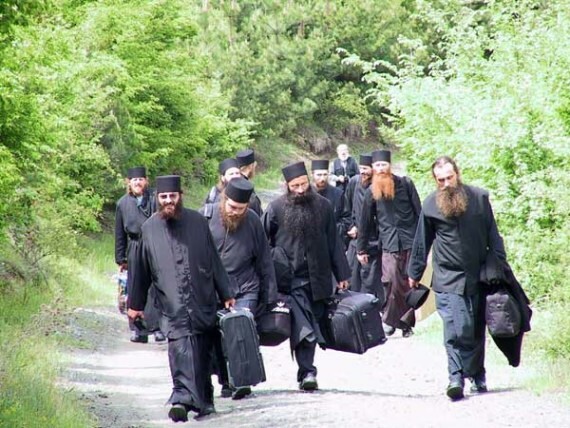 In the Eastern monastic tradition, novices may or may not dress in the black inner cassock (Greek: Anterion, Eisorasson; Slavonic: Podriasnik) and wear the soft monastic hat (Greek: Skoufos, Slavonic: Skufia), depending on the tradition of the local community, and in accordance to the abbot’s directives. The inner-cassock and the skoufos are the first part of the Orthodox monastic habit. In some communities, the novice also wears the leather belt. He is also given a prayer rope and instructed in the use of the Jesus Prayer. If a novice chooses to leave during the period of the novitiate, no penalty is incurred. He may also be asked to leave at any time if his behaviour does not conform to the monastic life, or if the superior discerns that he is not called to monasticism. When the abbot or abbess deems the novice ready, he is asked if he wishes to join the monastery. Some, out of humility, will choose to remain novices all their lives. 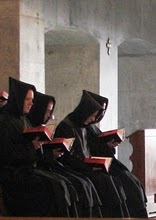 Every stage of the monastic life must be entered into voluntarily. Rassophore lit. 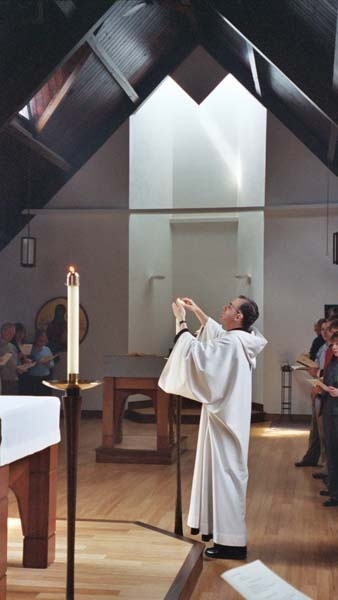 “Robe-bearer”—If the novice continues on to become a monk, he is clothed in the first degree of monasticism at a service at which he receives the tonsure. 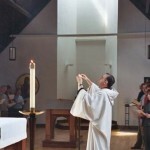 Although there are no formal vows made at this point, the candidate is normally required to affirm his commitment to persevere in the monastic life. The abbot will then perform the tonsure, cutting a small amount of hair from four spots on the head, forming a cross. He is then given the outer cassock (Greek: ????? ?, Rasson, Exorasson, or Mandorrason; Slavonic: ???? ?, Riassa), an outer robe with wide sleeves, from which the name of Rassophore is derived. He is also given a kamilavkion, a cylindrical brimless hat, which is covered with a veil called an epanokamelavkion. (These are separate items in the Greek tradition, but in the Russian tradition the two are stitched together and the combination is called a klobuk.) If he has not previously received it, a leather belt is fastened around his waist. His habit is usually black, signifying that he is now dead to the world, and he receives a new name. Although the Rassophore does not make formal vows, he is still morally obligated to continue in the monastic estate for the rest of his life. Some will remain Rassophores permanently without going on to the higher degrees. Stavrophore lit. “Cross-bearer”—The next level for Eastern monastics takes place some years after the first tonsure when the abbot feels the monk has reached an appropriate level of discipline, dedication, and humility. This degree is also known as the Little Schema, and is thought of as a “betrothal” to the Great Schema. At this stage, the monk makes formal vows of stability of place, chastity, obedience and poverty. Then he is tonsured and clothed in the habit, which in addition to that worn by the Rassophore, includes the paramandyas (Greek: ??????????? ; Slavonic: ??????? ?, paraman), a piece of square cloth worn on the back, embroidered with the instruments of the Passion, and connected by ties to a wooden cross worn over the heart. The paramandyas represents the yoke of Christ. Because of this addition he is now called Stavrophore, or Cross-bearer. He is also given a wooden hand cross (or “profession cross”), which he should keep in his icon corner, and a beeswax candle, symbolic of monastic vigilance the sacrificing of himself for God. He will be buried holding the cross, and the candle will be burned at his funeral. In the Slavic practice, the Stavrophore also wears the monastic mantle, which symbolizes 40 days of the Lord’s fasting on the Mountain of Temptation. The rasson worn by the Stavrophore is more ample than that worn by the Rassophore. After the ceremony, the newly-tonsured Stavrophore will remain in vigil in the church for five days, refraining from all work, except spiritual reading. Currently, this vigil is often reduced to three days. 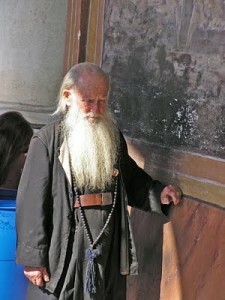 The abbot increases the Stavrophore monk’s prayer rule, allows a more strict personal ascetic practice, and gives the monk more responsibility. Great Schema Monks whose abbot feels they have reached a high level of spiritual excellence reach the final stage, called the Great Schema. The tonsure of a Schemamonk or Schemanun follows the same format as the Stavrophore, and he makes the same vows and is tonsured in the same manner. But in addition to all the garments worn by the Stavrophore, he is given the analavos (Slavonic: analav) which is the article of monastic vesture emblematic of the Great Schema. For this reason, the analavos itself is sometimes itself called the “Great Schema”. It drapes over the shoulders and hangs down in front and in back, with the front portion somewhat longer, and is embroidered with the instruments of the Passion and the Trisagion. The Greek form does not have a hood, the Slavic form has a hood and lappets on the shoulders, so that the garment forms a large cross covering the monk’s shoulders, chest, and back. Another piece added is the Polystavrion or “Many Crosses”, which consists of a cord with a number of small crosses plaited into it. The polystavrion forms a yoke around the monk and serves to hold the analavos in place, and reminds the monastic that he is bound to Christ and that his arms are no longer fit for worldly activities, but that he must labor only for the Kingdom of Heaven. Among the Greeks, the mantle is added at this stage. The paramandyas of the Megaloschemos is larger than that of the Stavrophore, and if he wears the klobuk, it is of a distinctive thimble shape, called a koukoulion, the veil of which is usually embroidered with crosses. In some monastic traditions the Great Schema is never given or is only given to monks and nuns on their death bed, while in others, e.g., the cenobitic monasteries on Mount Athos, it is common to tonsure a monastic into the Great Schema only 3 years after commencing the monastic life.